Customer complaints are considered a standard issue in the auto repair business. As customers, it’s their right to complain about anything they feel isn’t fair. They can bemoan the amount of time a car is in the shop for repairs. They can groan about the bill. Many will even criticize a tech when the car doesn’t pass a smog test! Most of the time professional technicians know a complaint is about blowing off steam and not based on any real facts. It’s not only customers that can complain about your auto repair shop. A Bureau of Automotive Repair compliant is possible too. A mailed citation is different from a customer gripe. The complaint is designed to fine or possibly destroy your smog testing business. Does that sound fair to a hard working SMOG shop? Nope. 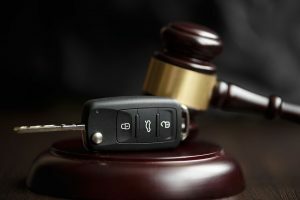 Will the Bureau of Automotive Repair complaint be a reasonable and truthful assessment of your actions? Normally not. Instead of fretting over the accusations, it’s essential to contact a team of expert automotive defense attorneys. Anyone can file a legal complaint, that doesn’t mean the facts match up with the accusation. We know that many auto repair accusations are rarely grounded in truth. Our Auto Defense Attorneys have managed over 1,000 BAR citations and 1,000 STAR invalidations. Our facts speak for themselves; we’ve had over 2,000 cases dismissed! That’s because we use a very straightforward method of exposing a Bureau of Automotive Repair complaint. We separate accusations from real evidence. more about our automotive defense team here. Receiving an accusation may not be fair, but it can be dealt with fairly. The first step is to ensure there is an expert attorney on your side to uncover the truth.